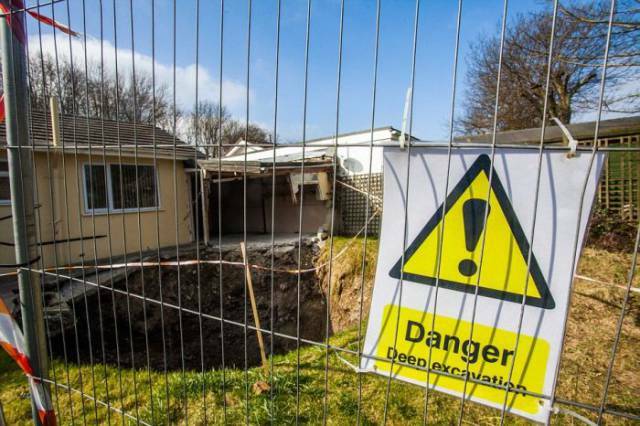 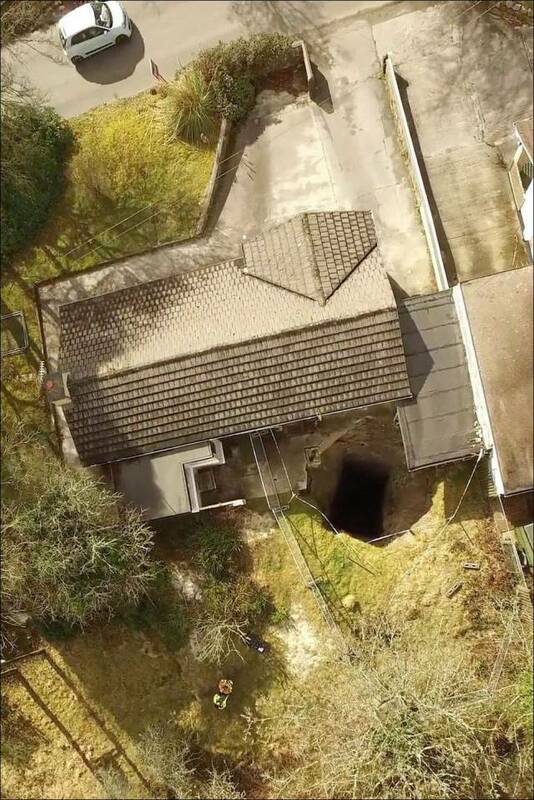 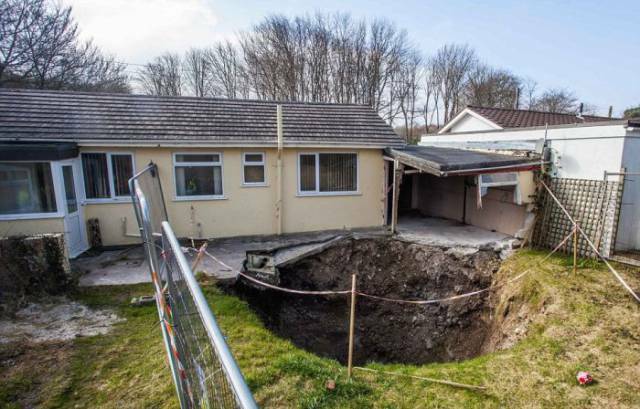 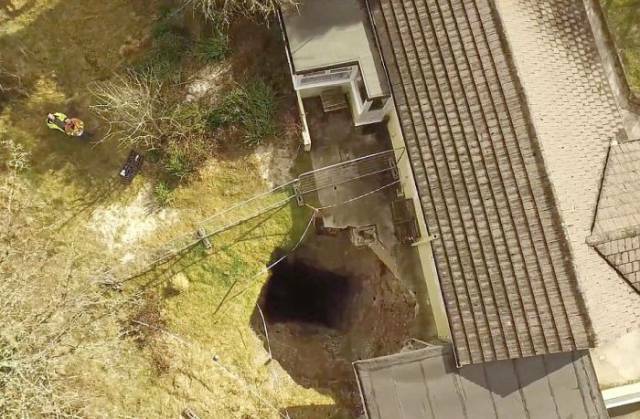 This 300-ft deep (91 meters) mine shaft opened up under the patio of a house in the village of Scorrier, England. 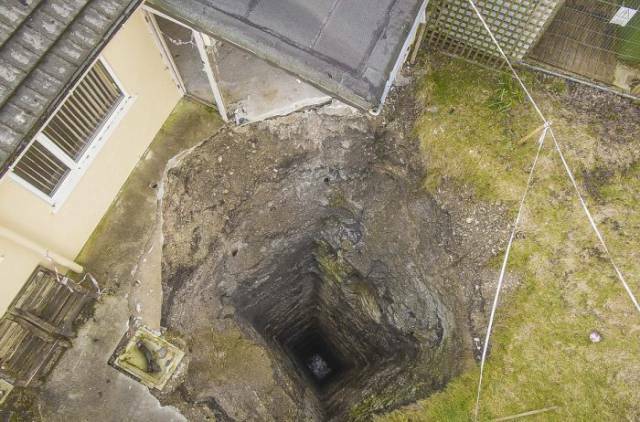 The mine shaft was discovered while surveyors were inspecting the ground for the sale of the house. 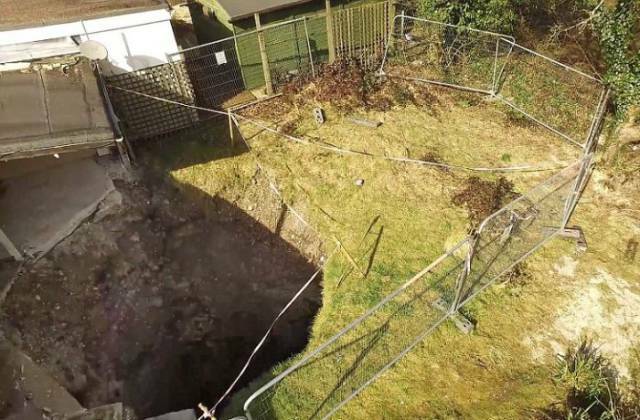 It looks like the mine shaft is all that remains from an 18th century tin mine and will be recapped with concrete.